lou DeMarco is a rarity in the music biz: hard working and honest. To be good at anything you have to love what you do. I’ve always had a passion for music and I’ve always loved discovering fresh talent. To me, there’s nothing quite as thrilling as telling friends about a musician for the very first time. When I started Momentary Love Management in 2005, I knew the focus of the company should reflect the true nature of why I got in the business in the first place—connecting artists with the opportunities that they deserve. Working in conjunction with concert promoters, event directors and label A&R folks like you, Momentary Love specializes in helping musicians to create and establish a plan for success. Musicians like Austin-based Beaver Nelson—a critically acclaimed singer/songwriter I’m proud to represent and call a friend; Carrie Ann Carroll…the Jersey girl who now makes Austin her home who is finding success with her first full length release “You Should Know”. Through open communication, strong working relationships and listening –traits I developed over the years as a Human Resources professional—my role is to bring together the people and places that correspond with the goals and expectations of the performer. We love partnering with planners who are creative and think outside the box. Whether you come to us with a vision or want us to dream up something totally unique, Momentary Love can make it happen! Gillis comes to us via Hamilton, Ontario where she began honing her musical chops at the tender age of 6. At the encouragement of her loving father, Ariana began learning guitar and writing her own material shortly after. Listen to Ariana sing one song in her distinct delivery and you will not be able to escape her feeling of passion. You will be in that song with her. Called a songwriting prodigy at the age of 18 by Rolling Stone, Beaver Nelson got his start in Houston playing various venues and even released two albums while still in high school. Carrie Ann Carroll’s new CD, “You Should Know” (Productions), is a collection of confessions ranging in style from folk and singer/songwriter to country and pop, it is an emotional and melodic journey about looking for answers while losing and finding love. Wild Ponies, a Nashville-based outfit fronted by Virginia natives Doug and Telisha Williams, who previously toured and recorded as acoustic folk duo Doug & Telisha, release their debut album “Things That Used to Shine”, an album about leaving some things behind…and meeting others head-on. By the age of 21, Rob began his work as a session drummer around the Philadelphia area. 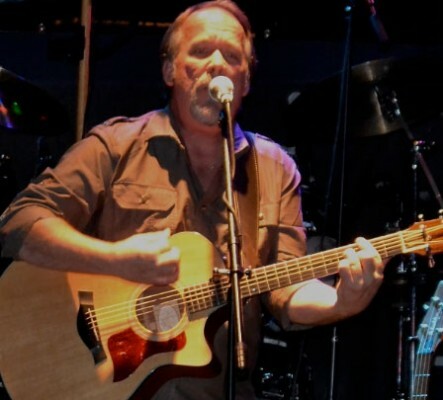 He helped form many original music projects before he would record and tour with Ben Vaughn in the late 1980s. Many of his songs speak of the journey he has traveled and the desire to overcome adversity. In 2013 Rob released his first CD titled “Catchin’ a Ride.” The music is strong, folk based rock. His love of great singers, from over the years, is evident throughout this collection. 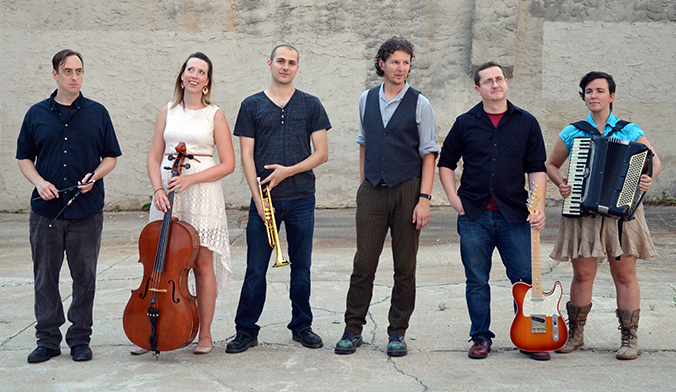 The John Byrne Band is led by Dublin native and Philadelphia-based John Byrne. Their debut album, "After the Wake", was released to critical acclaim on both sides of the Atlantic in 2011. Their third release, another collection of John Byrne originals, entitled “The Immigrant and the Orphan”, once again, draws heavily on John’s love of Americana and Celtic Folk music. 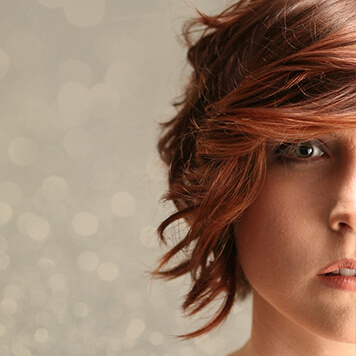 Momentary Love Management is excited to announce the addition of singer-songwriter Ariana Gillis to our growing family. In 2009, Gillis won the Canadian Folk Music Award for Young Performer of the Year. 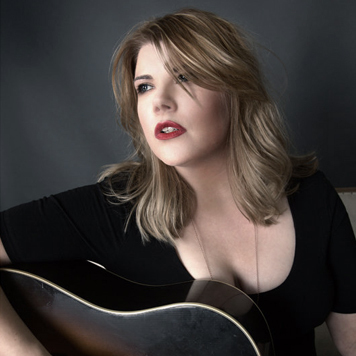 Gillis also was awarded Songwriter of the Year in 2009 and Female Vocalist of the Year and Album of the Year in 2010 at the Niagara Music Awards. Accolades by music industry heavyweights rolled in quickly as Gillis made her rounds. In fact Buddy is producing the newest work of Ariana’s which will be ready for release in early 2019. Ariana has been in Nashville this summer working with David Gillis, Viktor Krauss, Jim Hoke, and Gary Craig along with Producer and musician extraordinaire Buddy Miller. This promises to be a major success on many levels! OSOG, standing for “On Shoulders Of Giants,” honors their musical roots, and on the way to their unique sound, they have done some deep listening. You may be tempted to think: Americana, and that would be true, because their life-water comes from the same well. But the creature nurtured on it, was born on the crossroads, in the Middle East, with the world in its ears. 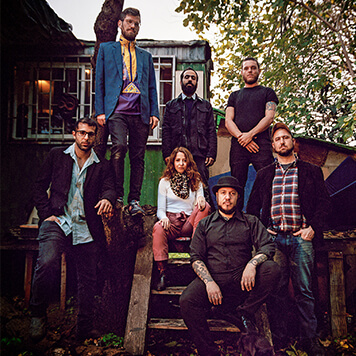 The nine-person band features acoustic instruments, yet they are played with a 21st century sensibility. A song may open with poetic imagery and fingers pick out a delicate melody on the ukulele or mandolin, like a folk tune coming from an old soul, then something happens, a portal opens to the dark side, and everything changes. But in that intensity, you realize that it was always all there, paradise and the inferno are all part of the same whole. There’s a religious fervor to many of the songs, that resonates profoundly. It sounds like traditional Gospel and Blues, not because it is written in that manner or in imitation; if you listen to the music you soon realize that it is a raging devil-child of diverse influences (blues, folk, rock, punk, reggae – to name a few) and striking originality. OSOG’s music feels like traditional blues or gospel because they are harnessed to the same, ultimately subversive task: truth-telling. 2019 is set to be a pivotal year for the band in America. OSOG will be stateside for Folk Alliance International (February), South by Southwest (March), and Philadelphia Folk Festival (August). This will be the time to see this exciting and unique blend up close and in person before they become giant in their own right. 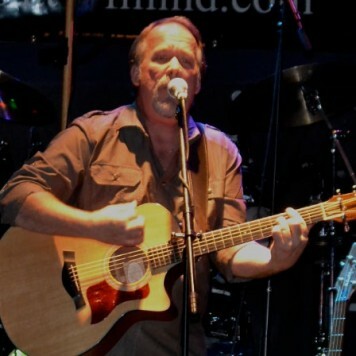 After moving to Austin in 1991, Beaver began playing the thriving live local music scene, where fans would first discover his amazing voice and lyrics. Today, 20-plus years and seven albums later—including his latest release, 2012’s “Macro/Micro” —the ultra-talented singer-songwriter has established himself as a proven mainstay on the folk rock indie circuit. Carrie Ann Carroll’s recent album “You Should Know” (TreeHouse Productions), is a collection of confessions ranging in style from folk and singer/songwriter to country and pop, it is an emotional and melodic journey about looking for answers while losing and finding love. Originally from New Jersey, Carrie got her start in the New York City area where she honed her skills as a writer and performer. Never being able to shake the feeling of being in the wrong zip code, she eventually planted her roots in Austin, TX. That’s where she met Producer (and husband) Joe Carroll. Making a record together was something they wanted to do only second to getting hitched. That was the idea, but a lot has happened in the past 5 years. Soon after they found themselves in Northern California to pick up Joe’s terminally ill sister to drive her back to Austin to live with them for the remainder of her days. The album opens up with the track, “Honeymoon”, that describes that road trip, “This may not be what we planned and it sure ain’t no tropical breeze, but it’s me and it’s you, our honeymoon”. Written during a busy year on the road, “Things That Used To Shine” is an album about leaving somethings behind…and meeting others head-on. It’s also the studio debut of Wild Ponies, a Nashville-based outfit fronted by Virginia natives Doug and Telisha Williams, who have previously toured and recorded as acoustic folk duo Doug & Telisha. Released by the band’s newly formed independent label, DitchDog Records, “Things That Used To Shine” finds Telisha opening up about the skeletons that have haunted her closet for years. Grammy-winning producer Ray Kennedy (Steve Earle, Lucinda Williams) recorded the album’s 12 songs in three days, running the band’s harmonies through the same pre-amps once used by the Beatles. Rob Robinson was born on June 3, 1961 in Bryn Mawr, Pennsylvania. At the age of seven Rob and his family moved to the countryside of Chester County, Pennsylvania where he spent most of his childhood. Music was at the center of Rob’s life from a very early age. He became an accomplished drummer by the time he reached his teenaged years and really devoted his early life to performing with many bands and musical ensembles. Rob spent significant time teaching and helping other young students to acquire some of the skills he was fortunate to be exposed to. By the age of 21, Rob began his work as a session drummer around the Philadelphia area. He also helped to form many original music projects before he would record and tour with Ben Vaughn in the late 1980s. 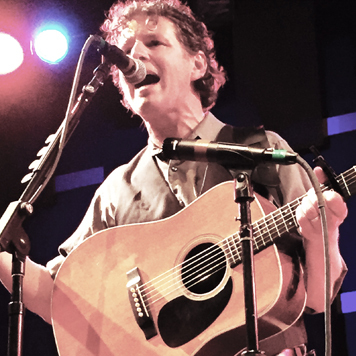 During this time, as a member of Vaughn’s band, Rob had the opportunity to participate in festivals and shows throughout the United States and Europe sharing the stage with the likes of John Hiatt, Alex Chilton, and many more. Throughout the nineties, Rob continued to work with musicians and artists around the Philadelphia area, including Amy Carr & Suzanne Gorman. It was during this time that Rob would become more involved with his own songwriting. He recorded several volumes of music over a ten year period but they were never released. In 2008, after a period of time where addiction had its grip on him, Rob started a journey into recovery. 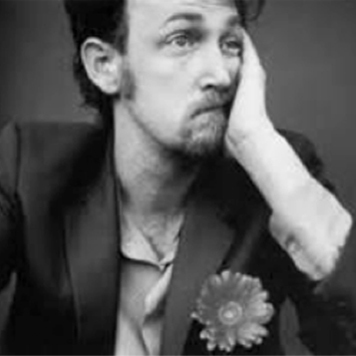 From that point his songwriting began to take shape in a very unique way. Many of his songs speak of the journey he has traveled and the desire to overcome adversity. In 2013 Rob released his first CD titled “Catchin’ a Ride.” The music is strong, folk-based rock. His love of great singers, from over the years, is evident throughout this collection. The John Byrne Band is led by Dublin native and Philadelphia-based John Byrne. Their debut album, “After the Wake”, was released to critical acclaim on both sides of the Atlantic in 2011. John and the band followed up “After the Wake” in early 2013 with an album of Celtic and American traditional tunes. The album, Celtic/Folk, pushed the band on to the FolkDJ Charts, reaching number 36 in May 2015. Their third release, another collection of John Byrne originals, entitled “The Immigrant and the Orphan”, was released in Sept 2015. The album, once again, draws heavily on John’s love of Americana and Celtic Folk music. lou DeMarco is a fan of music. He eats, breathes and drinks it. He is organized and diligent and honest as Mother Teresa. Even honester than her. He is the honestest. lou DeMarco loves music and the people that make it. He is smart, genuine and full of compassion. Good things happen when he is in your corner. When it comes to finding representation, one hopes to meet someone who is in need of the lifeblood of music. Someone who’s felt the power and necessity of rock and roll. Someone who will believe in you. lou DeMarco is your guy. For me, lou is one of the few people who can make you feel at home no matter where you are; I know that when I see him at a show it will be better because he is there. 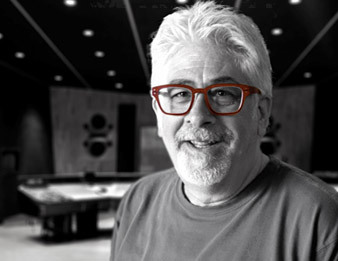 In lou, you have a true music fan and a passionate advocate for musicians. lou DeMarco is first and above all things a Music Lover. He has a profound dedication to live music in all its forms, lou is about music. He has boots-on-the-ground experience working with the late great TS Bruton. And also? He’s a nice guy. I can recommend him with a clear conscience. Few people in the world are in love with music – and especially live music – to the extent that lou DeMarco is. What separates lou from others in the music business is his genuine devotion to the musicians he represents. Anyone to have him on their team must be special, because Lou is a class act and only supports who he believes in. Irish Singer Songwriter John Byrne has joined Momentary Love Management as its newest client and at the same time has joined Green Room Music Source as his sole Booking Agency. John will be touring throughout the US and Ireland in 2017 as he prepares for his newest release set for later this year. Look for John in February at Folk Alliance Internationals annual Conference in Kansas City. Momentary Love Management will be at the Folk Alliance Conference once again this year and will host it’s third showcase room. This year the ever popular Hootenanny will take place on Saturday night starting at 1AM with over 30 artists performing “Forbidden Folk” protest songs. Wild Ponies are in the midst of completing their follow up to the very successful “Things That Used To Shine”. Recording in early August in East Nashville, Doug and Telisha are now adding the finishing touches on what will certainly be a great successor to Shine. The hope is to release early next year as the band prepares for the festival season with high hopes. You can be a part of this great project by being a donor and in return getting a copy of the “Acoustic Demo’s”. There are still some left and to get all the details go to wildponies.net. Beaver Nelson is also in the studios getting started on his first release since Macro/Micro in 2012. With long time buddy Scrappy Jud Newcomb at the controls and playing lead we are very hopeful to have the next release ready for spring of 2016. Beaver and the band were in Marfa Texas in early August to lay down the tracks…..vocals and additional instrumentation will be added later this month. All indications are that the project is going great with both Beaver and Scrappy very happy with early results. I was able to spend the first few days in the studio and I can tell you….this will be worth the wait Beaver fans!! To help with the cost of production Beaver is also planning on a package of “special material” for those who want to help with the release….but more on that in a few weeks. Hilary Scott just returned to St. Louis after a very successful East Coast run and is now getting ready to hit the great Northwest. She made it back to St. Louis in time to receive the Rural Roots Music Commission award for “Vintage Folk CD of the Year” for her last release “Freight Train Love” which as you can imagine is very proud of. Rob Robinson is also staying very busy writing new material for his first full length CD for the coming year. He continues to tour up and down the East Coast and is thrilled with the receptions he has received of late. A very large crowd came out to World Café Live (Philly) in early August to see Rob and his band play a great set before Rob the former World Champion Snare Drummer sat in on traps with Dan Montgomery and his band. Carrie Ann Carroll has also been writing as she contemplates next steps after her very successful release in 2014 of “You Should Know”. She has also been seen playing around town in Austin of recent……a very good sign of things to come. Dad’s Hat Rye is also prepping for our first film night with “An Evening With The Dude”! Yes we will be showing the Coen Brother classic “The Big Lebowski” with White Rye Russians and W’Rye Russians (both made with either Dad’s Hat White Rye or our regular Rye). For more details and to purchase tickets go to dadshatrye.com. It is with great pleasure that MLM announces a new relationship with “Wild Ponies”. As of August 15, 2014 lou DeMarco of Momentary Love Management will act as the manager of Wild Ponies. This Nashville based band is fronted by Doug and Telisha Williams, whose most recent release “Things That Used To Shine” spent better than 5 months on the Americana Music charts! 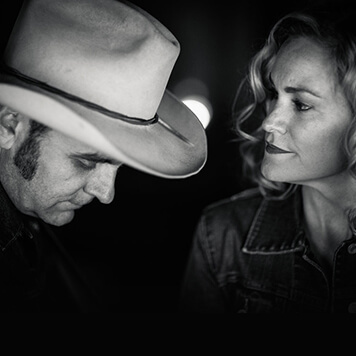 Wild Ponies also have two previous releases under their names, Doug & Telisha Williams; 2006 “Rope Around My Heart” and 2009 “Ghost of the Knoxville Girl”. Starting this September Momentary Love Management will help to expand the overall experience of Dad’s Hat Rye Whiskey located in Bristol, Pennsylvania. Tours have been around since the company’s inception but starting this September regular tours every weekend will commence. These tours (1 hour long) will include a thorough tour of the facility with a history of the company as told by one of the owners (Herman Mihalich or John Cooper). The tour will end with a tasting of available products. All products will also be available for sale. Tour times will be noon, 1:30 PM and 3PM every Saturday. You can go to the Dad’s Hat website to sign up for tours. To be good at anything, you have to love what you do. Momentary Love… it’s always good.